The Renault FT or Automitrailleuse à chenilles Renault FT modèle 1917, inexactly known as the FT-17 or FT17, was a French light tank; it is among the most revolutionary and influential tank designs in history. The FT was the first operational tank with an armament in a fully rotating turret, and its configuration with the turret on top, engine in the back and the driver in front became the conventional one, repeated in most tanks until today; at the time it was a revolutionary innovation. 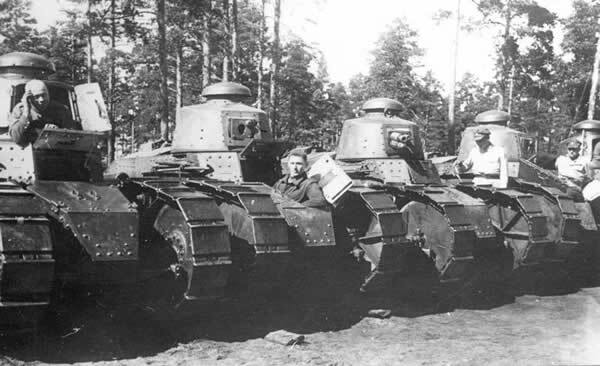 France still had several thousand First World War Renault FT tanks in 1940. Over 500 of them were still in service in independent bataillons de chars de combat (BCC) tank battalions in the front lines. Although adequate for infantry support, they were totally outclassed by German tanks in a mobile battle. 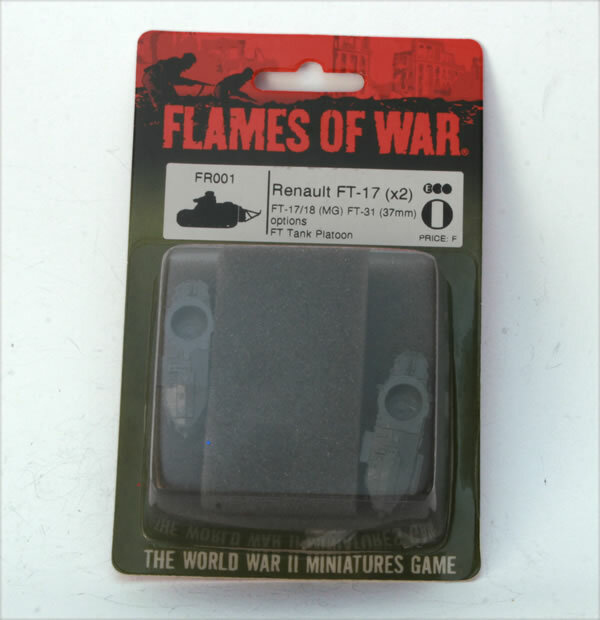 It is one of my favourite tanks, I have always had a fondness for this little tank, probably as a result of making that Matchbox plastic kit of the Renault and the Char B1 when I was young. 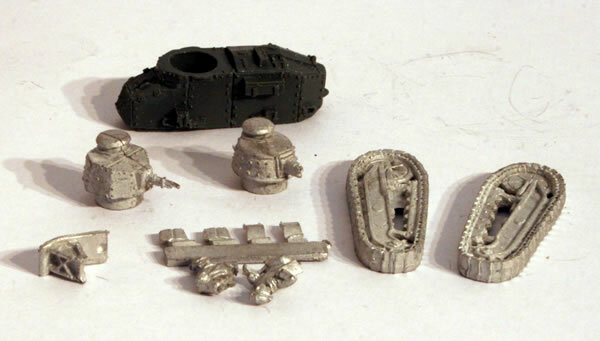 As I am creating an Early War French army I got some of these little tanks for Flames of War. The tanks were small in real life and were quite small in the 1:76th scale kit, so I am expecting quite a small tank for 15mm. Actually I was surprised by how small the Char B1 is compared to Late War tanks, I don’t know for some reason I thought the Char B1 was a “big” tank, well it might be “big” for Early War, but otherwise it is quite a thin small tank compared to the Cromwells and Panthers you find in 1944. 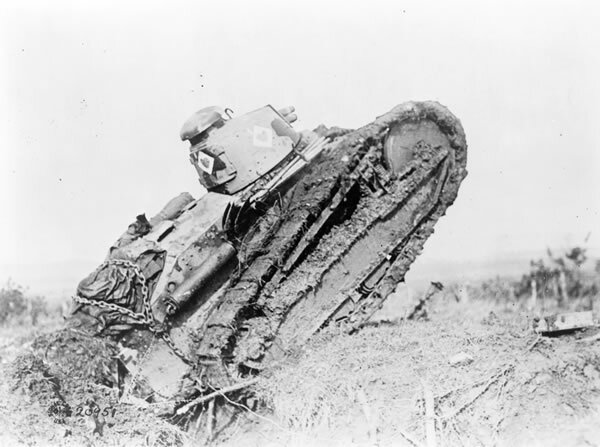 It’s quite incredible the pace of technological change in tank design during the war in just a few years. I was pleased with the amount of detail in the model. I like the fact you get two turret variants. The model is not as easy as it looks, I had some trouble putting the tracks into the resin hull.